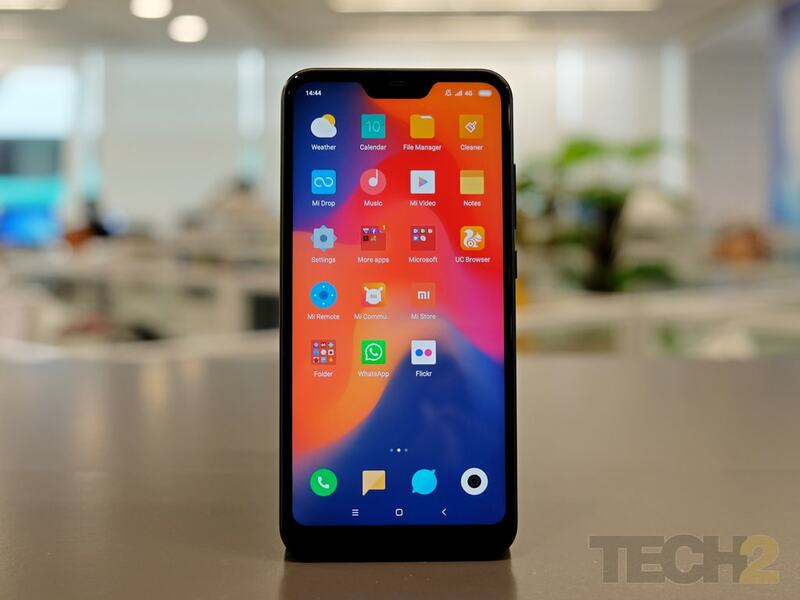 Prior to the launch of the Redmi 6 series in India recently, Xiaomi had shifted their focus for a while to launch smartphones which were priced above Rs 15,000. 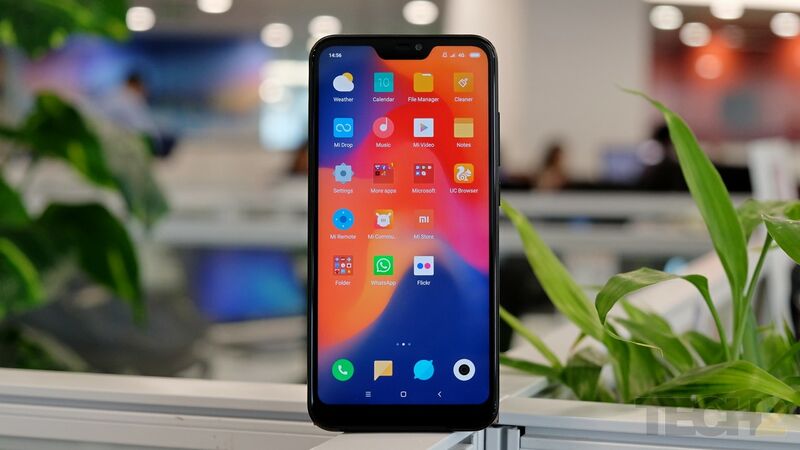 But with the likes of Honor and Nokia quick on its heels, Xiaomi was forced to launch not just one but three smartphones together, of which one is a renamed version of the Mi A2 Lite — named Redmi 6 Pro in India. 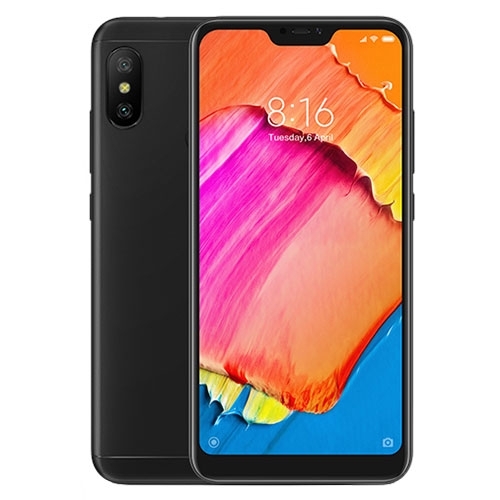 While the phone strikes a good balance of style and performance on a budget, it certainly does not come cheap considering it is a Redmi device. Priced at Rs 10,999 for the base variant, the Redmi 6 Pro offers a culmination of everything we look forward to in a budget device, a good display, stellar battery life, comparable performance, and a decent camera. However, much like the Redmi Note 5, the Redmi 6 Pro fails to bring that extra value that buyers seek, making the phone feel more like an incremental update from the Note 5, rather a 'Pro' device which sets new standards in the segment. Xiaomi’s Redmi brand has a bit of a reputation to live up to when it comes to build quality. From moulded plastic to full metal bodies, the Redmi range has always promised a well-built smartphone and the Redmi 6 Pro is no different. The Redmi 6 Pro does not stray away from taking design cues from the Redmi Note 5 Pro, something we’ve seen become a feature with most Xiaomi phones this year. The frame of the phone is made of plastic and so are the top and bottom caps of the phone on the back. The majority of the back is, however, a single plate of metal with a cut-out for the camera module which again looks identical to that on the Redmi Y2. The cold metal on the back and the large battery inside the phone, certainly gives it a very dense in-hand feel. The display sits on top of the body and has a plastic lipping around it, with the edge curved to aid gripping the phone. The phone is just about right for one-hand use and is not too slippery either. The fingerprint scanner on the back is also placed just right. There is a bit of a camera bump on the back with recessed edges, but it wasn’t big enough to make the phone wobble when typing with the phone on a table. 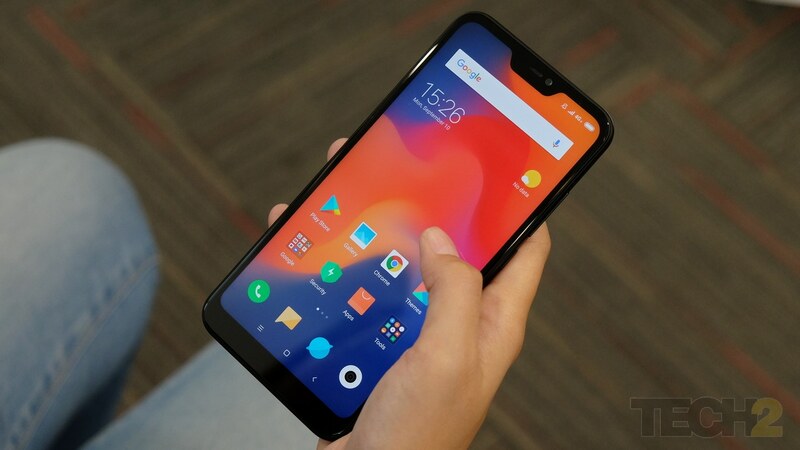 One of the distinct features, which sets the Redmi 6 Pro apart from any other Xiaomi phone in the segment, is the notch. 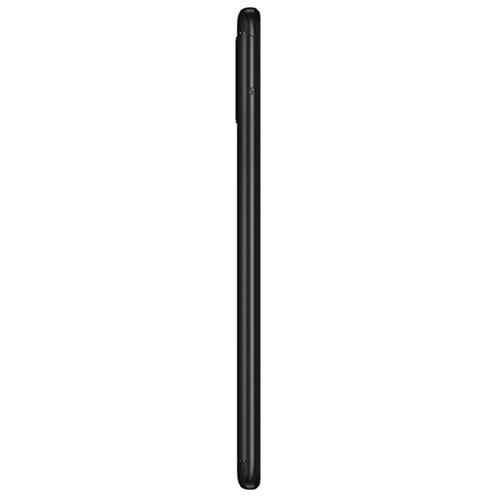 The notch is smaller but looks somewhat similar to what I saw on the POCO F1. 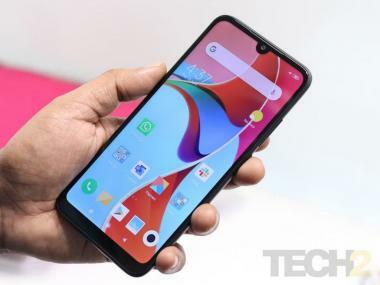 The notch features the front-facing camera, a earpiece and the proximity sensor. A thick outline runs around the entire display, making the notch appear wider than it actually is. There’s also a sizable chin which may look shabby in comparison to premium smartphones but at its price, it looks just fine. For the price, I'd still easily pick the Honor 9N any day of the week, purely because of how appealing the phone looks. But if a more muted look is more your thing and you don't mind Xiaomi's boring design choice, the Redmi 6 Pro is definitely right on top of your list with great build quality. The Redmi 6 Pro features a 5.84-inch display, which has a notch and comes in at a resolution of 1,080 x 2,280 pixels. The unit we received for review was the variant with 4 GB of RAM and 64 GB of storage and is priced at 12,999. The storage here is expandable up to another 256 GB via the dedicated microSD card slot. Inside, the phone features an octa-core Qualcomm Snapdragon 625 chipset which comes paired with an Adreno 506 GPU. The chipset here comprises of eight ARM Cortex A53 cores, all clocked at 2.0 GHz. The phone comes with a 5 MP AI-powered selfie camera which can take front-facing portrait photos. 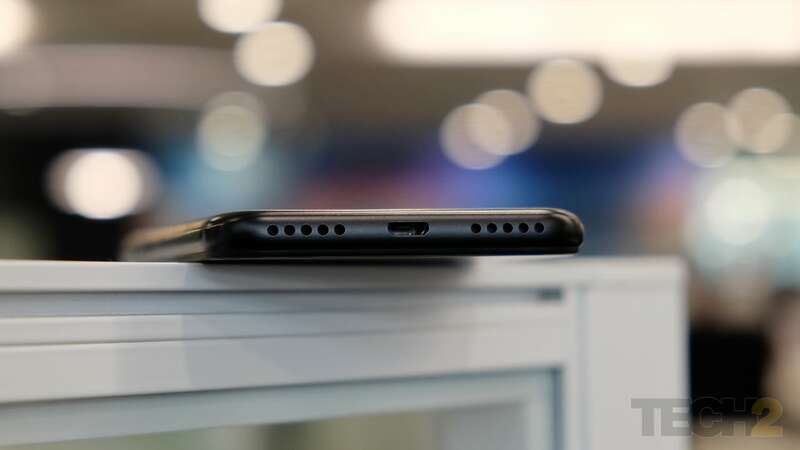 The back of the device houses a dual-camera setup with 12 MP + 5 MP sensors that are arranged vertically and allow the phone to take bokeh photos as well. In terms of connectivity, the phone features a dual-SIM slot with an additional space to include a micro-SD card. This is a welcomed move by Xiaomi as it allows the user to use two SIM cards and a microSD card at the same time. Both slots support 4G VoLTE. Apart from that, the phone features Bluetooth 4.1, WiFi, GPS, and a fingerprint reader placed on the back. Xiaomi has also thrown in its software-based face unlock feature here. The phone runs on Android Oreo 8.1 with Xiaomi's custom MIUI 9 skin and is powered by a large 4,000 mAh battery. If 18:9 displays were a trend at the beginning of 2018, notched displays are quickly becoming the norm when it comes to smartphones these days. 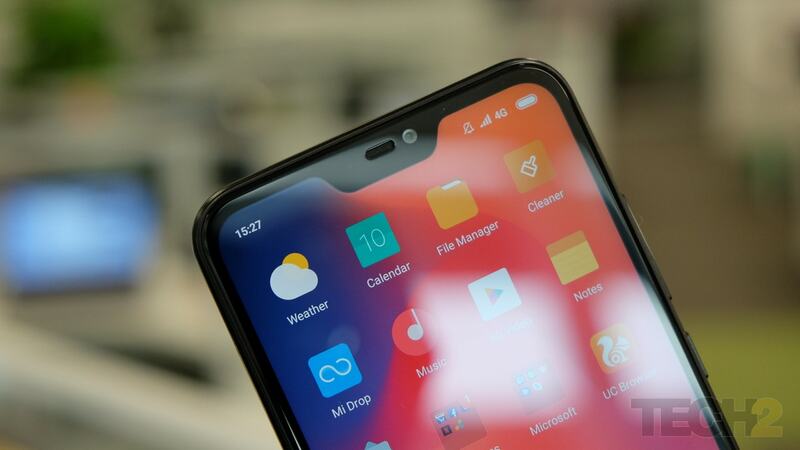 With rivals, RealMe, Honor and even Nokia having beaten Xiaomi to the race of launching smartphones with a 'notch', the Chinese smartphone maker decided to pack the best display they could in the budget. The 5.84-inch IPS LCD display not only packs in a full HD plus resolution of 1,080 x 2,280 pixels, but also does really well when it comes to producing the right colour tones. Colours are nice with good contrast levels and also quite accurate when it comes to reproduction. The display also gets adequately bright, making it easier to read text and even browse the web in well-lit conditions. Under direct sunlight, however, you will struggle a fair bit, which is somewhat understandable. Viewing angles are good, but the whites do become bluish when viewed from the sides. Xiaomi gives you the usual set of settings to tinker around with the white balance in the display settings and also throws in a Reading Mode if you do happen to read a lot in the dark. If you do watch a lot of video content on your phone, bear in mind that the rounded edges on the phone are a bit of menace and might cut into the content you are viewing. 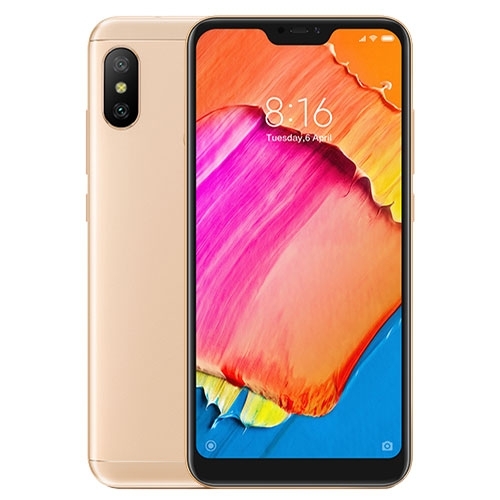 One of the biggest letdowns about the Redmi 6 Pro is that, unlike the global variant of the phone, it does not feature a stock Android One build. The Redmi 6 Pro, instead features a familiar MIUI 9.6 based on Android Oreo 8.1 and the July Security patch. 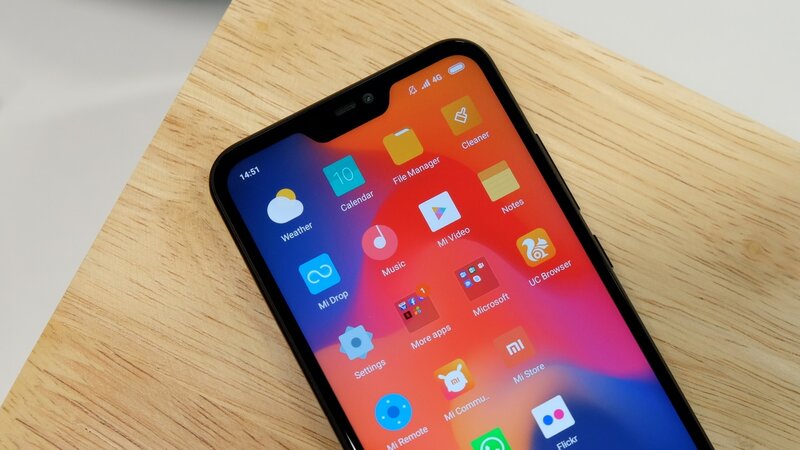 There's nothing new here if you have used a Xiaomi smartphone released anytime this year. There are a few apps which come pre-installed, such as Facebook, Netflix, NewsPoint, Amazon and PhonePe, but nothing you can't uninstall. 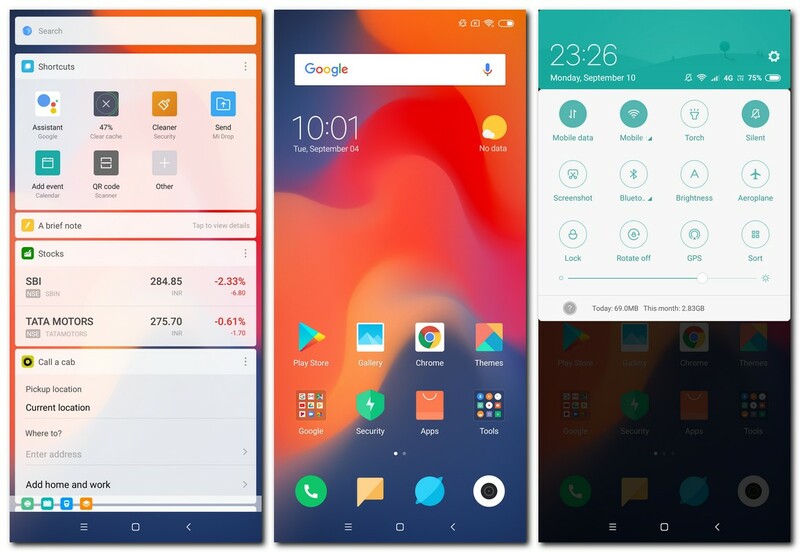 MIUI is super stable otherwise and I did not come across a single instance where the animations hung up or an app crashed. Multitasking and even using the multi-window feature worked just as they were meant to. But given the number of budget smartphones we see rocking Android One these days, it's hard to argue why one wouldn't opt for a stock build of Android. I'd still lean towards Android One, solely because I find MIUI a tad too dull and boring. That said, Xiaomi is expected to roll out MIUI 10 soon to the Redmi 6 Pro, so it should not be long before the phone gets an update. What would be worrisome for a few though, would be the fact that there's no promise of Android Pie yet. I also tried hopping on the Play Store and downloading the POCO launcher onto the device, but I wasn't able to because the Early Access pool was already filled out. However, it would be interesting to try it out once a stable version of the app is released. 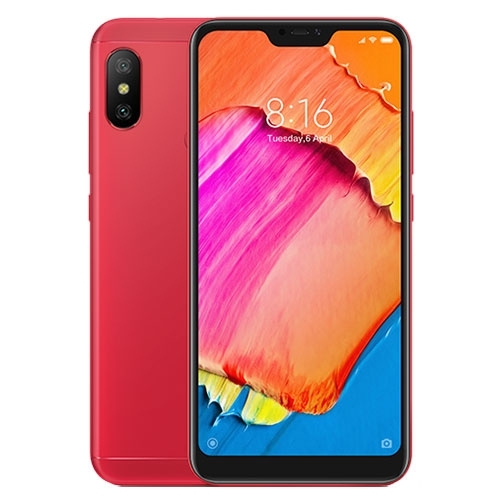 Xiaomi launched the Redmi Y2 a couple of months back with a Snapdragon 625 chipset and priced the phone at Rs 9,999, making it the first phone with a Snapdragon 600 series chipset to be priced below Rs 10,000. The Redmi 6 Pro which starts at a price of Rs 10,999 also gets the same SoC and manages to perform equally well for day to day usage. The older 14 nm chipset does manage to perform quite well but its when running games that it tends to stutter. While most casual games like Alto's Adventure ran fine, its when graphic intensive games like PUBG and Shadow Fight that we had to minimise the graphics settings to have playable frame-rates. Long story short, if you want to buy this phone for gaming, you might want to stay away. The Asus ZenFone Max Pro M1 which sells at the same price as the Redmi 6 Pro, not only offers a more capable Snapdragon 636 chipset for gaming, but also gives you more usable screen space without a notch. The battery drain while playing heavy games was also considerable. For reference, playing an hour of PUBG on Wi-Fi drained the battery by about 22 percent. The speaker on the phone is okay but is nothing too spectacular. The audio does start distorting at higher volumes, so it's best to avoid that. Cellular call quality and reception were impeccable. The earpiece has also been placed well, with a wider earpiece, giving you more room to direct call audio. Audio quality through the headphone jack was also pleasing, especially if you like a lot of bass. The rear camera unit on the Redmi 6 Pro is again the same setup Xiaomi packed the Redmi Y2 with. The results in some cases do differ though. Even compared to the camera on the Honor 9N, the Redmi 6 Pro seems to falter a wee bit when it comes to sharpness and processing. The camera UI remains unchanged and is easy to get adjusted to. We get all the usual modes like square, panorama, manual, etc., along with a dedicated portrait mode. The modes remain unchanged for the 5 MP front-facing camera, except for the fact that there's no front-facing flash here. Shots in broad daylight came out well, which was expected, but there were minor issues with focussing on subjects. Images are not exactly colour accurate, but details and exposure levels are just right. The AI processing can also be noted here but is quite subtle, which is nice. You will need steady hands to get usable images on this phone though, as the camera does have a tendency to reduce the shutter speed drastically whenever possible. Low light shots were quite disappointing. The camera tries very hard to get rid of the noise, but there is very little detail in any of the shots. The aggressive HDR mode may help you capture more detail, but you do need to have very very steady hands. 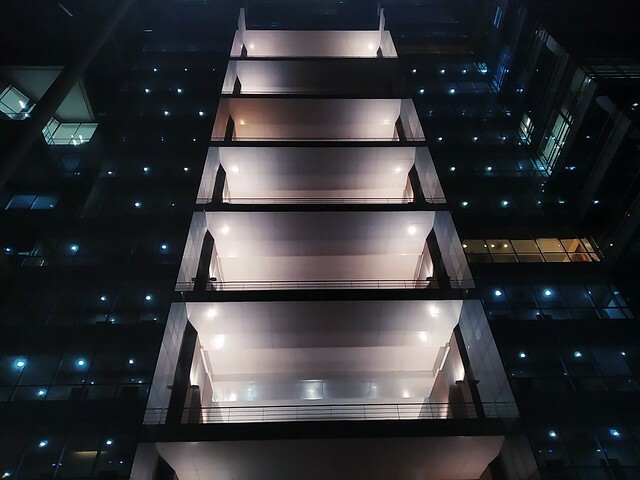 The HHT mode in the camera, which is meant for low-lighting conditions, does not help much either. Overall, I'd say the performance was at par with the Redmi Y2, but given the Redmi 6 Pro is priced higher, it fails to beat the Honor 9N or even the Asus ZenFone Max Pro M1. Hop on here to browse through the camera samples for reference. You can also click on the image below and use the arrow buttons to browse through the image samples. The front camera does a decent job in well-lit conditions, nailing subject separation most of the time but again its in low-light when the images are almost unusable. Video shooting is capped at Full HD at 30 fps and the Redmi 6 Pro does the job if you need it to. There is EIS which works well enough to shoot casual videos. There is a visible drop in frames while panning, however, something I noticed on the Redmi Y2 as well as the much more potent POCO F1. The Redmi 6 Pro features a large 4,000 mAh battery which puts it ahead of most of its competitors. Xiaomi did claim the battery to be a 'two-day battery' and that claim does turn out to be true. This is a battery which will last you close to two days with moderate usage and by that I mean, texting, watching videos and streaming music for about an hour or two, working with a lot of emails, browsing and making a dozen phone calls a day. You do have to wait close to two hours to juice the battery up though since there's no fast charging here. You get a standard 5V 2A charger in the box which doesn't help your cause. The phone lasted a good 12 hours and 27 minutes in our standard PC Mark Work 2.0 Battery Life test. 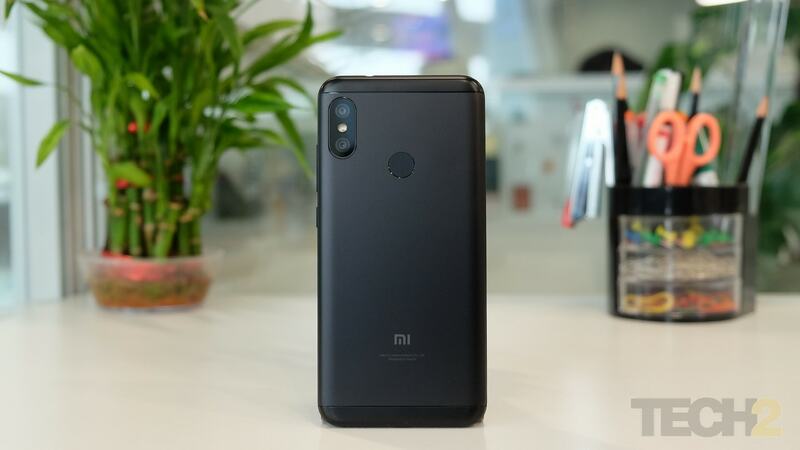 Before reviewing this phone, I was worried about the price of the device (Rs 10,999 for the base variant with 3 GB RAM and 32 GB storage), considering a number of Xiaomi’s own smartphones are now similarly priced. Looking at the Rs 9,000 - 13,000 price range, we have as many as three Xiaomi smartphones fighting each other — the Redmi Y2, the Redmi Note 5 the new Redmi 6 Pro. However, Xiaomi does manage to edge both these phones out, courtesy of that display and stellar battery life. The Redmi Y2 which may seem comparable to the 6 Pro, falls short in the display and battery segments, justifying the Rs 1,000 premium. The Redmi Note 5, on the other hand, looks dated in comparison and loses out with its single-lens camera unit. As far as competition is concerned, the Redmi 6 Pro goes neck to neck with the Honor 9N and the Asus ZenFone Max Pro M1 which now begins at Rs 10,999 for the base variant. The ZenFone Max Pro M1 should be your overall pick here, because of the better Snapdragon 636 SoC, but the Redmi 6 Pro does offer a larger 19:9 aspect ratio display (and a notch, if that's your thing). 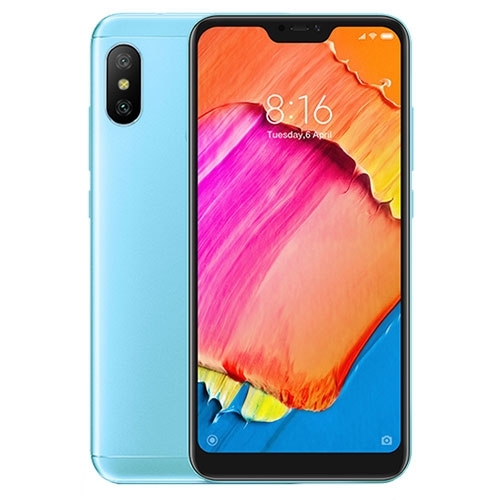 The Xiaomi Redmi 6 Pro (64GB, 4GB RAM) features a 5.84-inch FHD+ display with a resolution of 1080 x 2280 pixels and is powered by a 2.0GHz octa core processor and has 4GB of RAM. It comes with 64GB of inbuilt storage, expandable upto 256GB and has a 12.0 + 5.0- megapixel rear camera and 5.0-megapixel front camera. It comes with Android 8.1 Oreo OS and support a 4000mAh battery capacity with 3G & 4G.